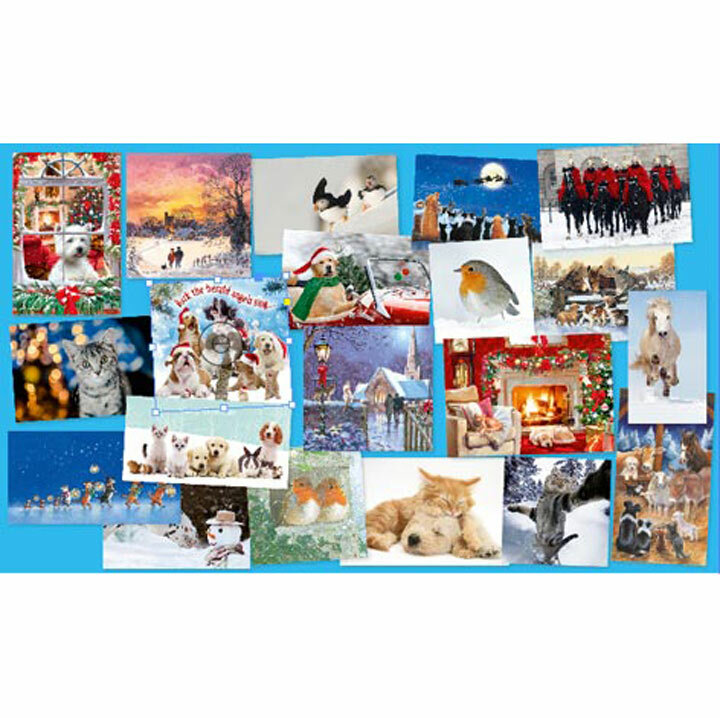 Value for money pack of 30 Blue Cross charity branded Christmas Cards with envelopes. At only £4.99 they are less than 17p per card. The cards are printed on FSC board with a gloss finish. They carry the Blue Cross charity logo, images of rescued animals and are supplied with envelopes. Greetings vary. Range of sizes. £4.99 for 30 cards. 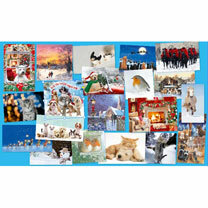 £7.98 for 60 cards SAVE £2.